Okay, it’s been a while, but here’s another veganized cuban classic! This was my 1st try at Garbanzos con Chorizo. 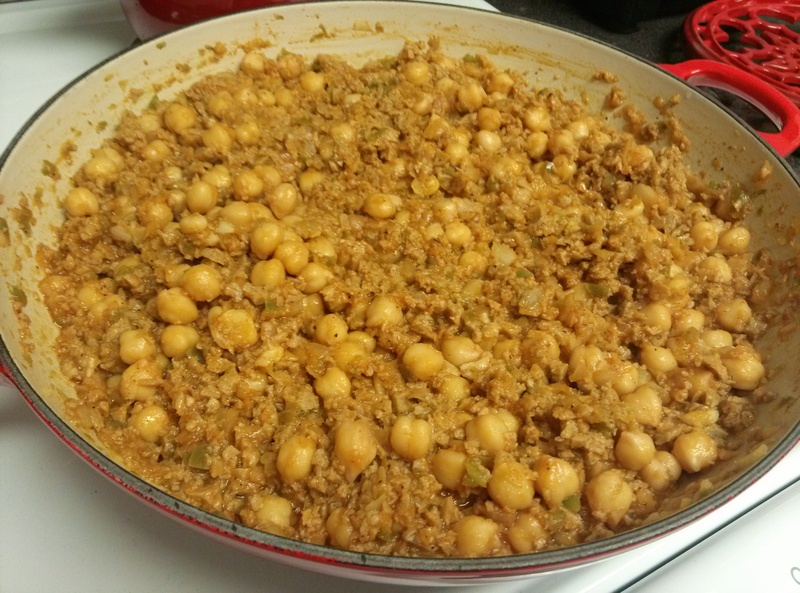 In an attempt to be thriftier, I made the chickpeas from scratch, but you can easily use can beans. I’ll leave the salt up to you depending on what you decide to do there. When I get the right combination I’ll mark it as such, and add it to my recipe page. This really came out so good, I don’t think I’m going to change the recipe much in the future. 1. Heat olive oil over low heat in a large, deep skillet. Add onion, pepper, and garlic. Raise heat to medium, and cook for about 5 minutes. Add tomato sauce, paste and water, and cook for a few more minutes. 2. Stir in chickpeas and sausage, cover, and drop heat to low to simmer for about 30 minutes. Stir occasionally, and taste for seasoning. You’re done! Serve over rice and enjoy. 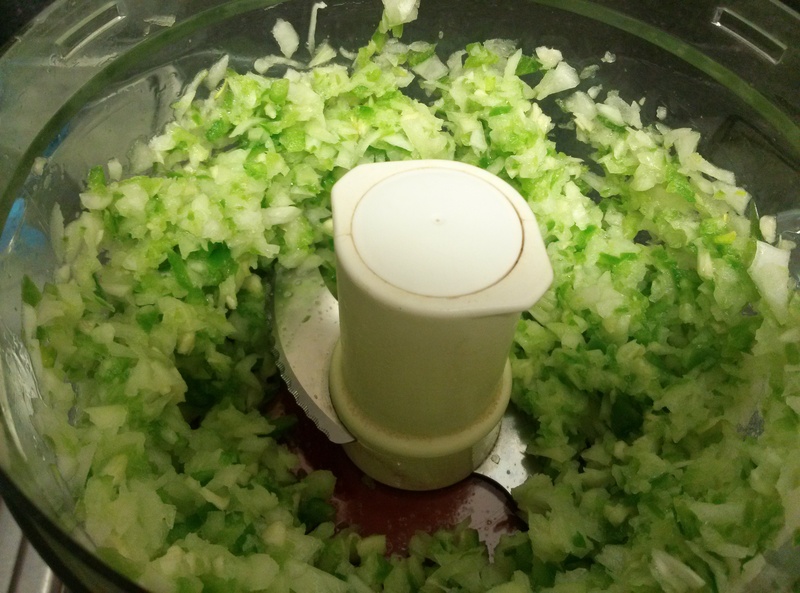 I’m not the biggest fan of chopping things finely. 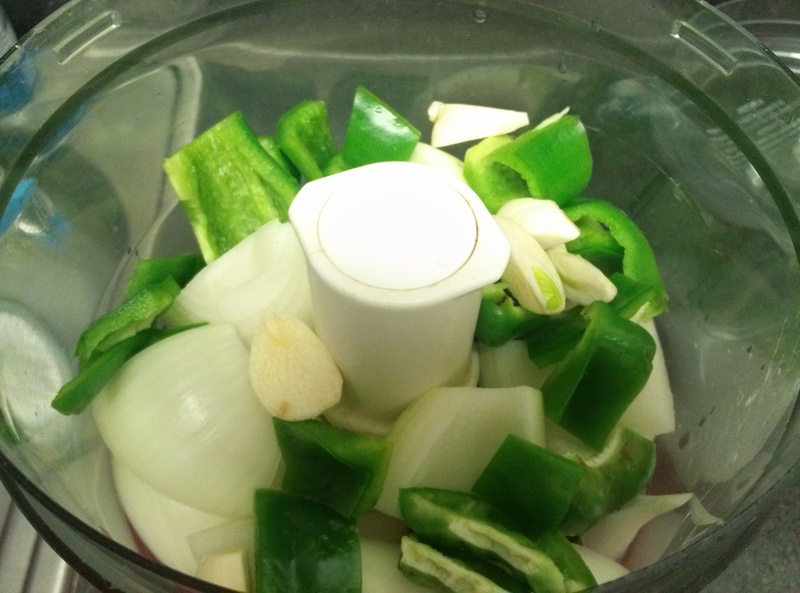 Especially when it comes to onions, so I cut the onions into eighths, and threw them in with some roughly chopped pepper and garlic. This worked out really well for the sausages too. 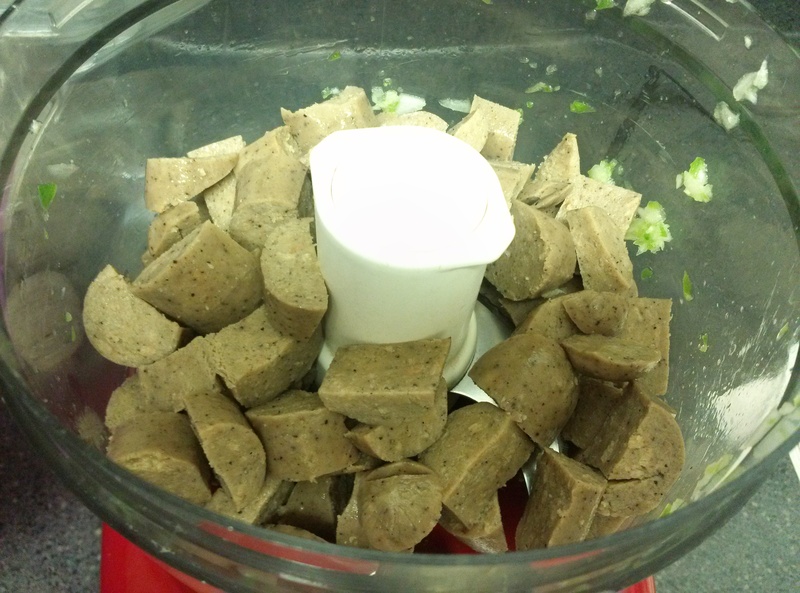 I chopped them up and threw them in. 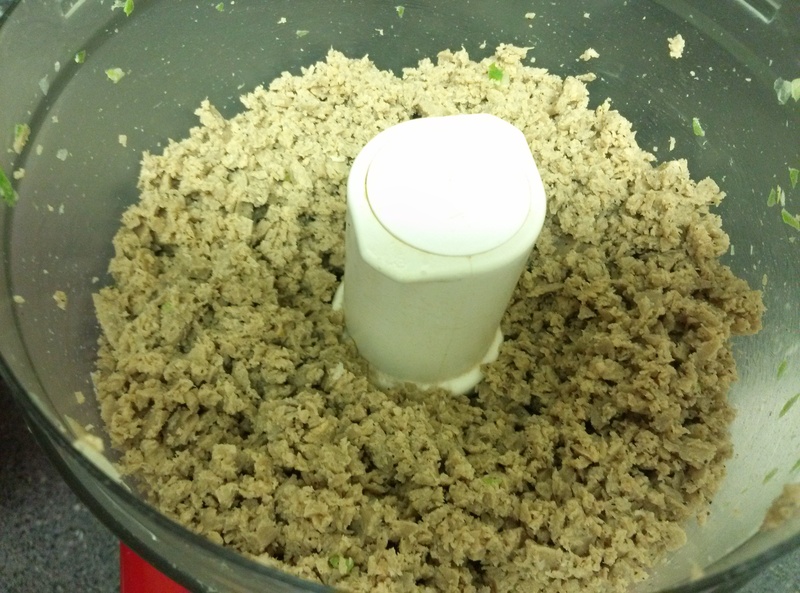 And pulsed them to the perfect, crumbly texture. Result: I really thought this recipe was going to use more tweaking, but this first attempt came out pretty awesome. Not a whole lot of work yields a whole lot of flavor here. Not only that, it made my kitchen smell like my grandma’s used to. I’m adding it to the recipe page.